St. Finan's Chapel (locally accepted name) is oriented E-W and measures 21.0m by 5.6m within a wall which is 0.9m thick and c. 2.8m maximum height. In the N wall are the lower halves of four windows, and near the E end is a square-headed aumbry. In the W wall is the lower part of a window and in the S wall the lower part of three windows, and towards its W end a doorway. The altar and bell remain intact at the E end. The interior has been used for burials. 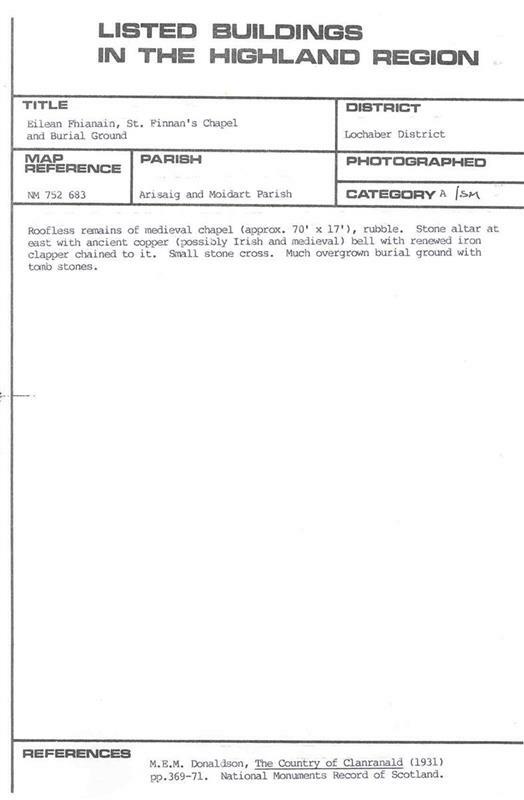 The chapel and the surrounding burial ground were listed at Category A in 1971. 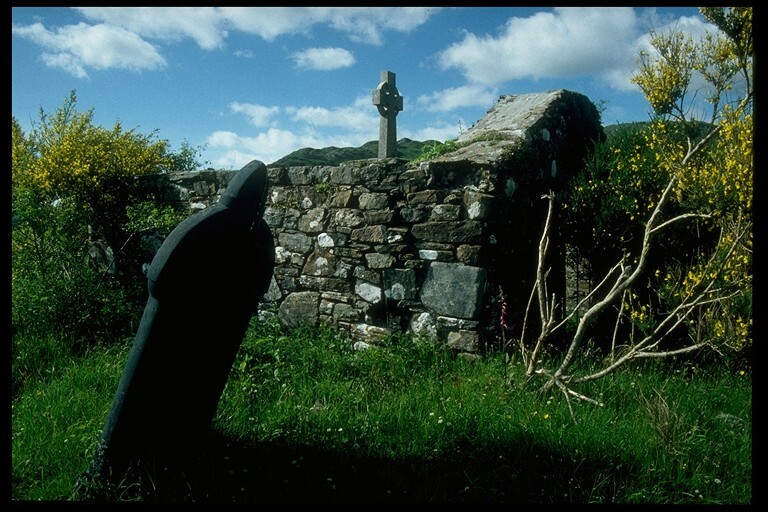 The remains of the chapel and stone crosses were scheduled in 1995. --- Text/Publication/Volume: Fisher, I.. 2001. 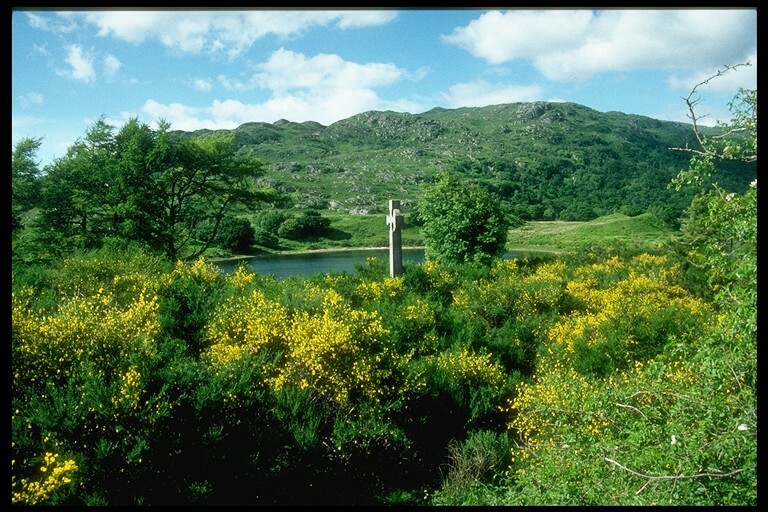 Early Medieval Sculpture in the West Highlands and Islands 2001. Fisher, I.. Paper (Original). pp 85-86. <1> Text/Publication/Article: PSAS. 1896. 'Donations to and purchases for the Museum and Library, with exhibits', Proc Soc Antiq Scot Vol. 30 1895-6, p.5-9,38-40,200-5,247-53,308-16. Proc Soc Antiq Scot. 5-9,38-40,200-5,247-53,30. 39. <2> Text/Publication/Volume: Donaldson, M E M. 1923. Wanderings in the Western Highlands and Islands. 2nd, rev.. 30. <3> Text/Publication/Volume: Watson, W J. 1926. The history of the Celtic place-names of Scotland: being the Rhind lectures on archaeology (expanded) delivered in 1916. 285-6. <4> Text/Publication/Volume: Gordon, S. 1935. Highways and Byways in the Western Highlands. 168-70. <5> Text/Publication/Article: CFA. 1992. 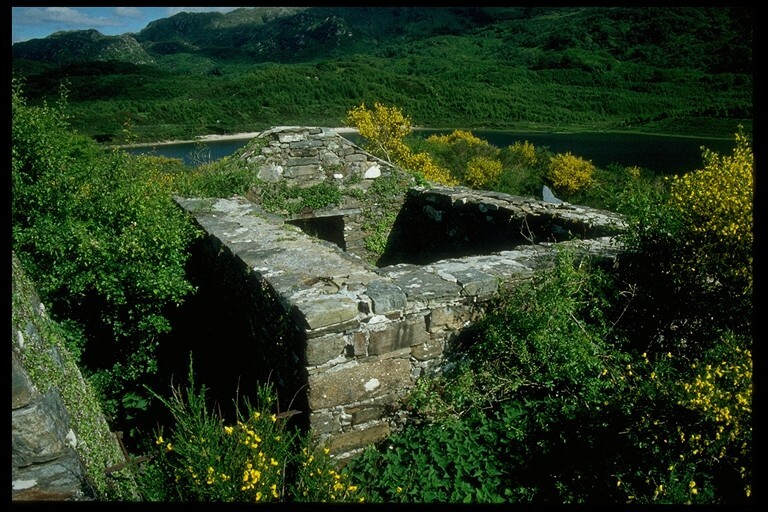 'Eilean Fhianain, Loch Shiel (Arisaig and Moidart parish): ecclesiastical site', in Discovery and Excavation in Scotland 1992. SHG23035. 42. <6> Text/Publication/Volume: Miers, M.. 2008. The Western Seaboard: An Illustrated Architectural Guide. Paperback. <7> Text/Designation Notification/List of Buildings: Jackson, L.. 2015. Combined Statutory and Descriptive List of Buildings of Special Architectural or Historic Interest (Highland Council, Two Hundred and First Amendment) 2015. Historic Scotland. 04/09/2015. Digital. <8> Interactive Resource/Online Database: RCAHMS. Canmore, online database of the Royal Commission for the Ancient and Historical Monuments of Scotland (RCAHMS). 22686.